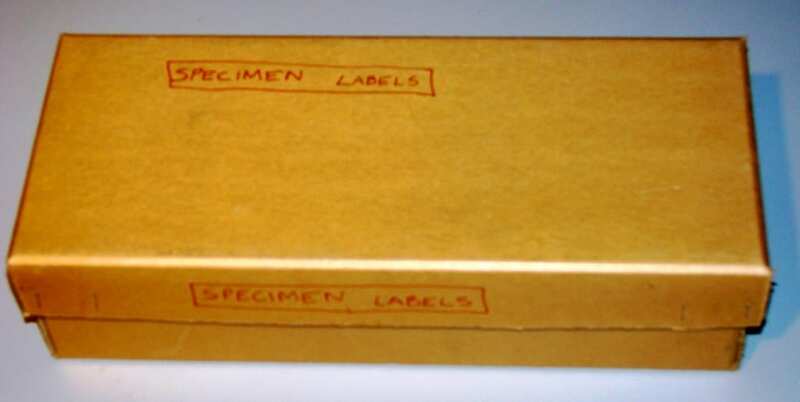 This box labeled ‘specimen labels’ is simultaneously very exciting and at the same time heart-sinkingly stressful. All of these labels that were purposefully removed? Accidentally detached? Found under a desk? could hold important information for some of our specimens that hasn’t otherwise been preserved. Or they could just be labels that have been updated. Some of them, unfortunately we’ll never be able to find the specimens for with 100% certainty anyway. Ugh, labels, labels, labels. This box, sadly, is exactly what is says on the lid. 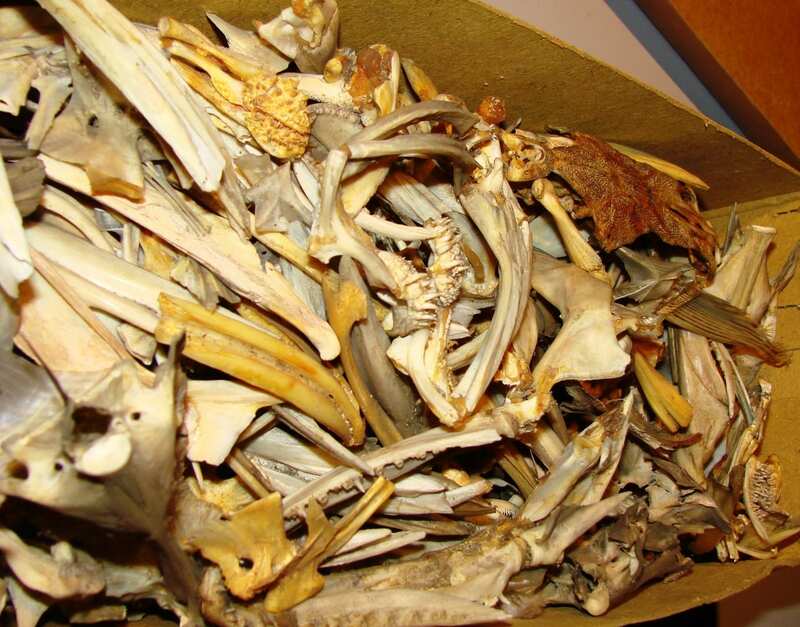 Hundreds of disarticulated skeletons jammed into a box. Potentially there are some new and exciting species of interesting fish! 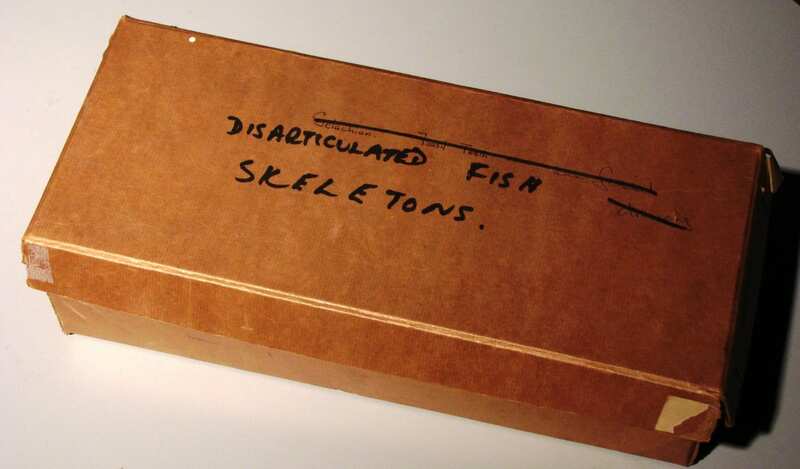 More likely is that this box is just crammed full of cod and sturgeon skeletons. There is a fine tradition of curators accessioning the remains of their lunch as the Manchester Hermit illustrated. 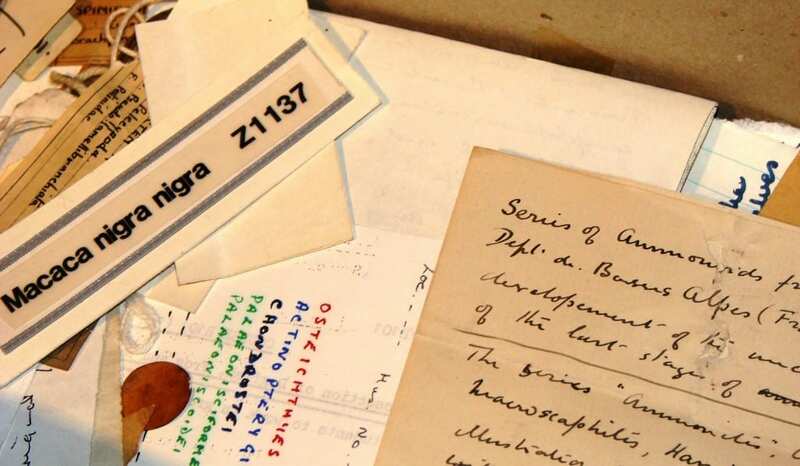 Who knows which luminaries may have dined on some of these? Although this box has disarticulated fish skeletons written on it, it also has ‘volunteer project’ and ‘disposal’ written all over it.